Sixteen-ish weeks ago, my sister called me. Not unusual. She calls me frequently. But this time, before I could even exhale hello, I heard a ﻿frantic, excited, frenzied "I think I'm pregnant!" If I were writing honestly, there would be one hundred exclamation marks after that sentence. "Are you sure?" I asked, skeptical in light of the "I think" that preceded the announcement. She then launched into a slightly, um, TMI fueled description of how many tests she'd--ahem--used in her quest to confirm her mother-to-be status. Ten minutes later, I was sure. She was sure, we were all sure. And if we weren't, there were twenty more pee-soaked tests that she could use as evidence. Two little lines, there they were. She was officially a holy vessel, manufacturing a little life that, crafted by God himself, will change us all for good come August. Then she said these words, these horrendous words that are devastating to the ears of any girl with a mouth. And good news. And a slight inability to keep secrets. "Don't tell anyone, yet." Pain. It's inexplicably painful to keep joyful news like that a secret. So, naturally, I told my Oma. Don't freak out. I got permission. But it took me all of 24 hours to request it, because a secret like that is out of my control. So, for the most part, I kept it a secret. It wasn't hard after I told my main lady, because she's the only person aside from Ryan and Dee that I can't keep secrets from. My trio knew and from there, my lips were zipped. Anyway, that was back in December. My sister told me a few weeks ago that one of the name choices for this developing human baby was Riley. I met with a student earlier this morning named Riley and I took it as a sign. A girl. A little girl. A tiny little sister for the big sister who already owns my heart. I immediatly responded to my sister "....we already love her!" Because, it's so crazy, but we're all already in love. Then I cried. I shut my office door, sat down and cried the happiest kind of tears. Mostly because I'm an emotional human, but also because my thoughts were of Adellia. I thought of how she's about to get a sister and I had this flashback to 2002. I was fourteen. My sister was eighteen. We spent the entire summer driving with the windows down, singing along to songs we loved, and cruising equally the beach and Meijer. Actually, I had a hundred flashbacks. All to moments of bestfriendship with my sister. And I know, in twenty-four years of birthday and Christmas gifts, the best present I ever got from my mom was my sister, Dee. In August, Adellia will get that same gift and all I hope for Adellia and Riley (!!!) is that they get to be lifelong best friends too. I hope they get to share secrets and recipes. I hope that they get to steal each other's clothes. I hope they love shopping together. I hope they cry together when one of them get their heart broken. I hope they know that they are blessed every single day because God made them sisters. 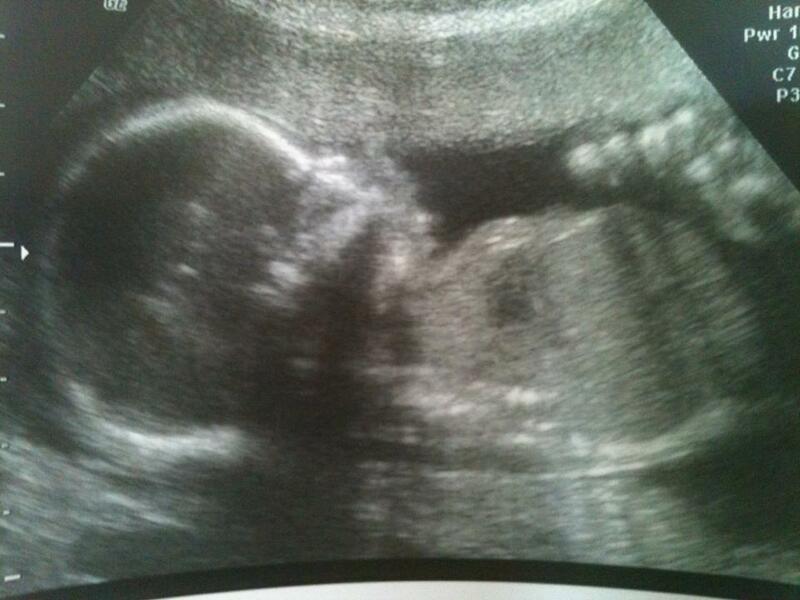 Twenty weeks ago, a person was created. Who that person will be...that's still up in the air. It's a destiny waiting to be written. But today - today - something new was born. Sisters. Adellia and Riley. And for the rest of forever, those names will go together. Surely not always like peanut butter and jelly, but always as something sacred and special. Always as sisters.